House Sitting Magazine is committed to protecting your privacy when you visit our website which can be viewed freely without ever disclosing any of your personal data. However, if you choose to interact with us by email or by subscribing to our magazine newsletter (via the popup administered by Sumome), we are collecting your name and email address. This will always be a voluntary process and you will always be fully aware of the information you are providing. It will always be your choice whether to input any personal details. Please be assured that all personal information is kept confidential, secure and private. It is our intent to use personal information only for the purpose for which it was requested. We have upgraded to HTTPS SECURE which means all communications between your browser and the website are encrypted. Whenever you visit a website you leave a trail of information – a “digital footprint”. Sometimes this footprint is vague and preserves your anonymity, such as if you simply click and read pages. However, if you leave a comment, sign up for an offer or subscribe to a newsletter or magazine, the information captured is more specific. Almost all websites today collect data in this way and this website is no exception. House Sitting Magazine does not sell, rent or lease any of its customer lists and/or names to any third parties. If you subscribe to our magazine through the website or any associated apps, it is currently free. Therefore we do not collect any payment information from you. Your free subscription automatically renews unless auto-renew is turned off at least 24-hours before the end of the current period. You can manage your subscriptions through your Account Settings after sign up. House Sitting Magazine will never knowingly collect personal information from children under the age of (13) without verifiable parental consent. If it is discovered that information has been inadvertently collected on anyone under the age of thirteen (13), we shall immediately take the necessary steps to ensure that such information is deleted from our system’s database. Anyone under the age of thirteen (13) must seek and obtain parent or guardian permission to use this website. If you submit images to the website as part of a contributed article, you should avoid uploading images with embedded location data included if this is of concern to you. Visitors to the website can download and extract any location data from images on websites where GPS locations are embedded. If you contact us through the website contact form, the form sends us an email, including all information submitted in all fields of the form. We use this information only to answer the question asked, and to reply as appropriate. We keep contact form submissions indefinitely, but we do not use the information submitted through them for marketing or any other purposes. Your email address would never be added to an email list such as Get Response. If you leave comments or sign up for our newsletter or other information, you can request to receive an exported file of the personal data we hold about you, including any data you have provided to us. You can also request that we erase any personal data we hold about you. This does not include any data we are obliged to keep for administrative, legal, or security purposes. All users and/or visitors to House Sitting Magazine website have the option to stop receiving any communication by way of subscription, email or newsletters. To discontinue or unsubscribe either use an appropriate link or alternatively please send an email via our contact page. If you wish to unsubscribe or opt-out from any third party websites, you must go to that specific website to unsubscribe and/or opt-out. Our website hosting provider is SiteGround. Ultimately, this is where all of the House Sitting Magazine website is stored. If you have any questions relating to your privacy, please use the “Contact Us” page. You can find it in the menu at the bottom of every page. Our Data Protection Officer (DPO) is Ian Usher. Unless otherwise stated, Vanessa Anderson & Ian Usher are the legal copyright holders of all the material on this website (HouseSittingMagazine.com) and it may not be used, reprinted, or published without our written consent. 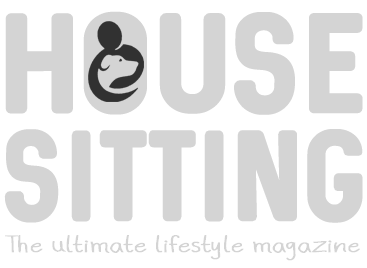 Copyright © House Sitting Magazine and House Sitting – The Ultimate Lifestyle Magazine. All rights reserved.